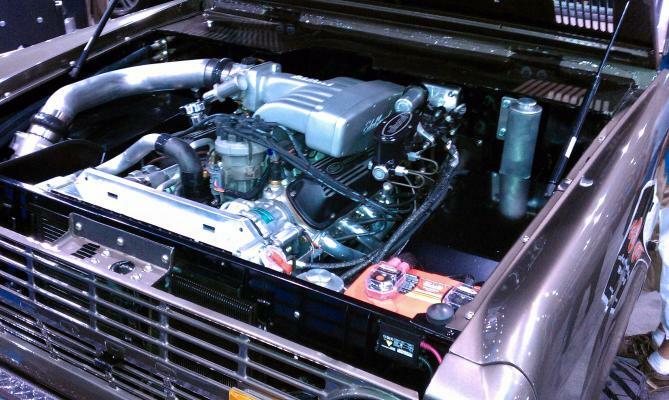 This Bronco was built for a company called Scosche for display at various shows. This Bronco debuted at the 2010 SEMA show in Las Vegas. We ended up doing a full frame off rebuild on it, including rebuilding the body. 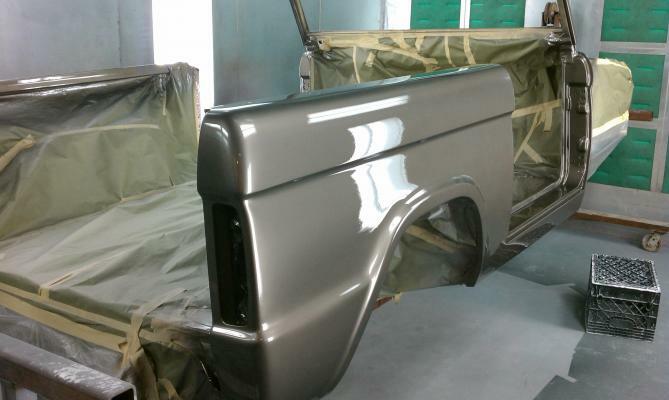 We replaced every body panel on the bronco except the cowl and a few of the floor braces. We rebuilt the frame repairing various bad repairs that it had acquired over the years. The chassis was powder coated and reassembled with a James Duff 3.5" soft ride suspension kit. 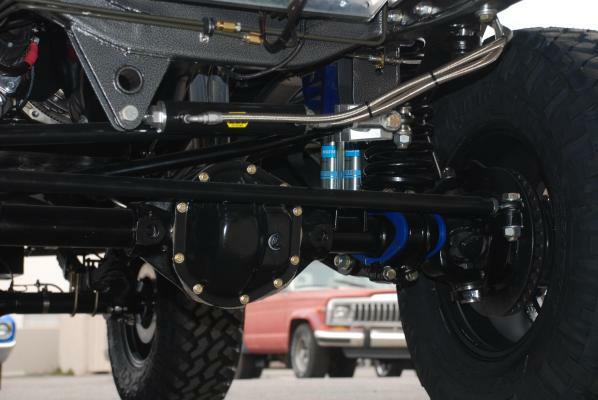 It features longer front trailing arms and dual shocks all the way around. The shocks were upgraded with Bilstein's all the way around. 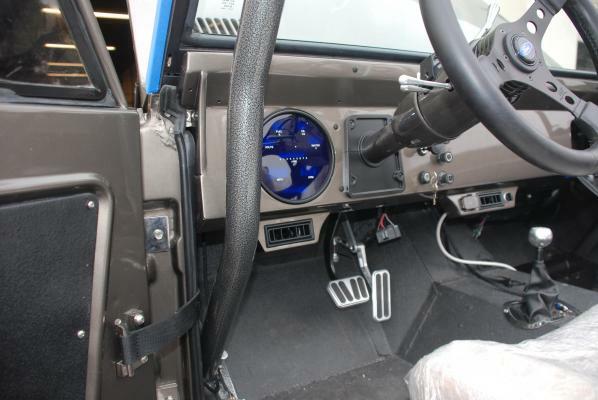 The steering was outfitted with a Lee manufacturing steering box and ram assist. 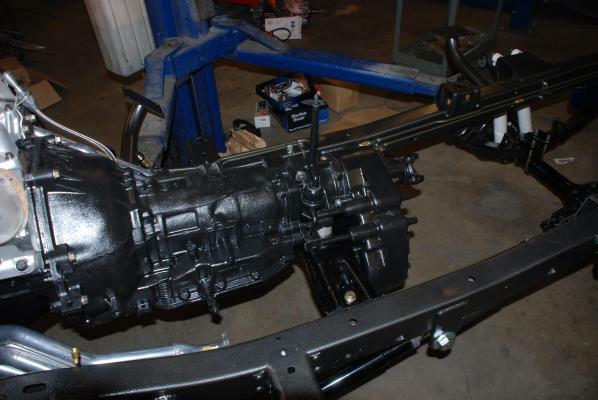 The stock 9" and Dana 44 were retained. They were upgraded with 4.56 gears and posi's along with disc brakes. To help improve the stopping power, the brakes were finished off with a Wilwood master cylinder and a Hydra-tech brake assist unit. 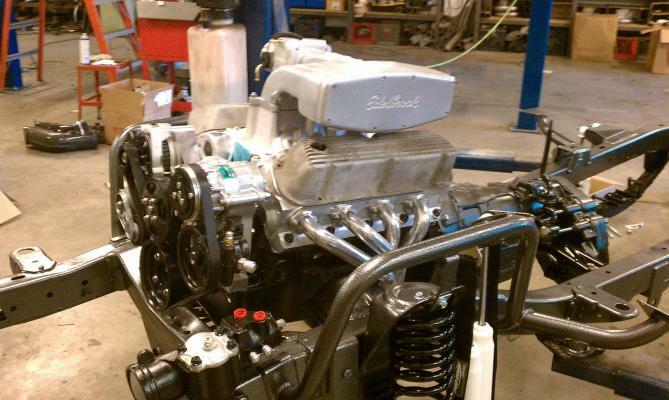 The engine was upgraded to a 347 stroker Ford. It features all the good parts like Edelbrock aluminum heads, Comp Cams valve train, and Edelbrock fuel injection components. The cooling is handled by a Griffin radiator and Spal fans. We used a Vintage Air front runner for its compact size and fit. The trans is a AOD with a 2200 stall converter for good drivability. On the inside there is a full custom Bones Fab cage that ties in the seats and belts. The cage is attached to the chassis for added strength. Twisted Stitches did the seats, and Crow restraints were used. A Dakota Digital dash insert keeps an eye on the important stuff. There is also a Vintage Air unit under the dash for creature comforts.The final body work and paint was handled by Cal Custom. This Bronco has a lot of nice little custom touches on it as well. Custom ipad mount, custom rear fender flares, custom single exhaust, and the list goes on. Every nut and bolt on this Bronco was replaced. It was a hit at the SEMA show as it had people looking over it all week long.